Employee turnover is a common challenge for Chambers. It is disruptive, costs money, impacts employee morale, and can have a major impact on your organization. Developing an employee onboarding program is a critical step towards addressing the problem. 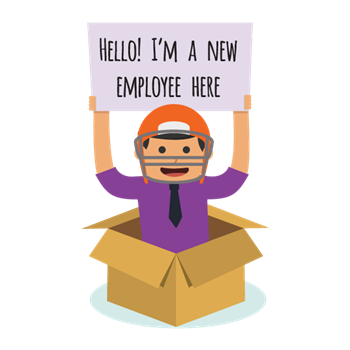 Retain top talent by implementing a new-employee onboarding strategy. Breaking the ice for a new staff member helps them to feel welcome while giving them the confidence and resources to quickly make an impact within the organization. Give a welcome gift. A new employee is going to have a case of the nerves on the first day. Make the day easier by starting with a small gift on their desk. Have the employee’s workstation set up. It makes a big difference for them to walk into a new office and have their computer, phone, desk, and email set up and working. Have a buddy program. Ask a co-worker to show the new hire which printer to use, where the breakroom is, how to close up, etc. Be sure to communicate about where to park, what time they can leave, where to hang their coat, when they can take lunch, where to put things in the refrigerator, etc. No one wants to ask these things. Don’t wait to let the employee know you appreciate their contributions. At the end of the week, give a small token of appreciation and a thank you note recognizing their hard work. Have a 10-week plan in place. It doesn’t have to be detailed, but engaging employees is critical in retention. Most importantly, remember that onboarding doesn’t stop after the first day. Take advantage of this time period to make sure your new hire feels that their contributions are valued and their efforts are appreciated.